Call 1-800-450-5319 for a FREE quote and more information about transport services to France provided through A1 Overseas International! You may also fill out the form! 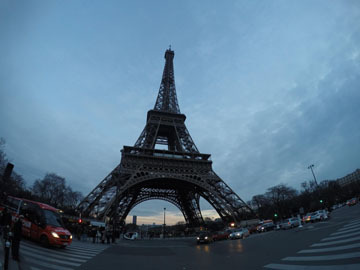 Any American citizen planning relocation to beautiful France can consider international auto transport services. Shipping a private vehicle to France is usually sensible especially if language barriers present a problem. Taking public transit in a foreign country can be extremely intimidating. Having your own vehicle is obviously more beneficial. It allows you to drive anywhere you desire at any given time. However, auto transport to the European country will prove to be difficult without the assistance of a seasoned global auto shipping company such as A1 Overseas International. With their history in the industry and ability to provide security for all automobiles in their care, A1 Overseas International consistently remains a preferred transport company for those trying to ship a vehicle from the U.S. to another country. They will be with you every step of the way. Nonetheless, contacting France Customs for the current auto import and export regulations will be the vehicle owner’s responsibility. Within the first four months of the automobile arriving in the country, it must be registered to France. There are several government facilities where this can be rightfully cared for. Other than the proper documentation needed for Customs and the registration of the vehicle, France is rather easygoing when it comes to their auto import policies. U.S. citizens frequently have their own vehicles shipped whenever residency or extended stays are planned. For a FREE price quote and more information on boat, motorcycle and car shipping, simply call 1-800-450-5319 or fill out the form!